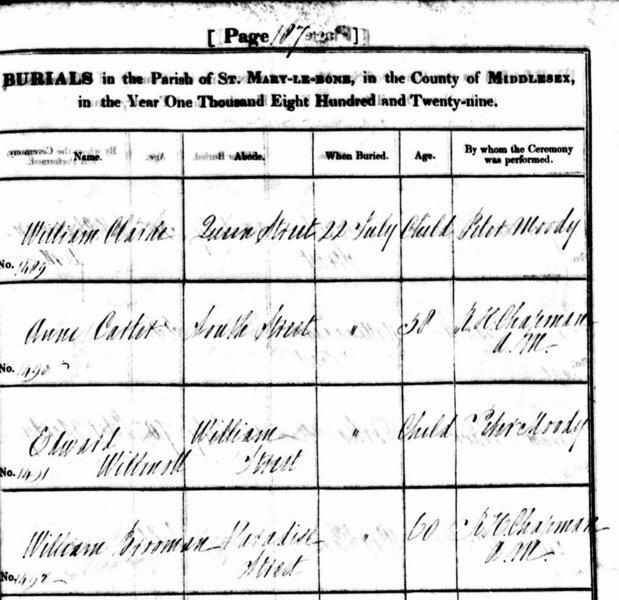 The death certificate for William Boroman gives a calculated birth date of 1769. 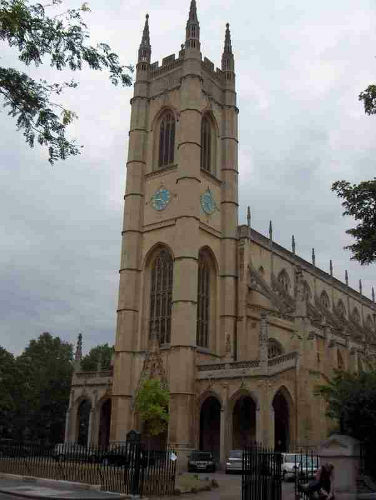 There was a William Boreman baptised at St Luke's Chelsea on Aug 31 1769. Given the same year, same first name, same London parish, and similar sounding surname,it has been assumed that William Boreman at birth is the same person as William Boroman at death and William Boraman during life. Note sons John and William were baptised in St Marylebone/St Mary in 1815 and the remaining 7 children baptised in St Luke's Chelsea in 1828 when the eldest was 28 - not clear why the delay - had they been out of the country or moving around England? Note Leader Street is now called Ixworth Place. Surname was Boraman on the marriage certificate. Surname was Boroman on the death certificate.